After a period of relative silence following the Calamity, the Serpent Reavers have once again taken to terrorizing the inland hamlets of La Noscea, killing the men, kidnapping the women and children, plundering the storehouses, and burning what little they leave behind. For years, it was not known how the pirates were able to raid areas so far from the coast, until a local shepherd sighted a band of painted ruffians entering the Sastasha Seagrot, carrying large quantities of sacks and crates. 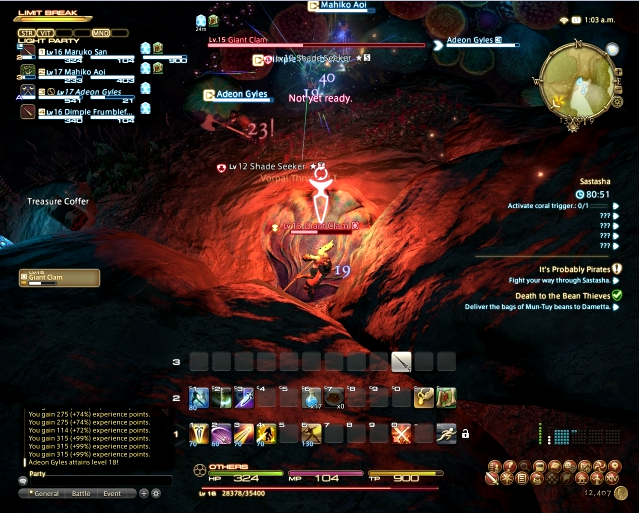 Could it be that there is more to this cave than meets the eye? 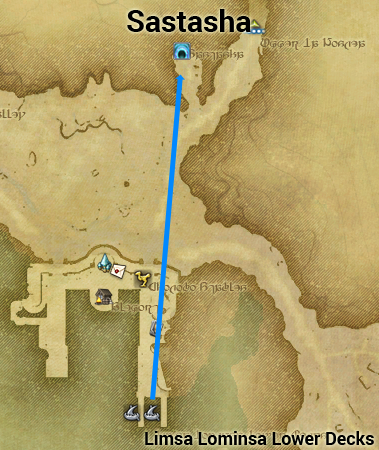 The Sastasha dungeon is located in Western La Noscea. 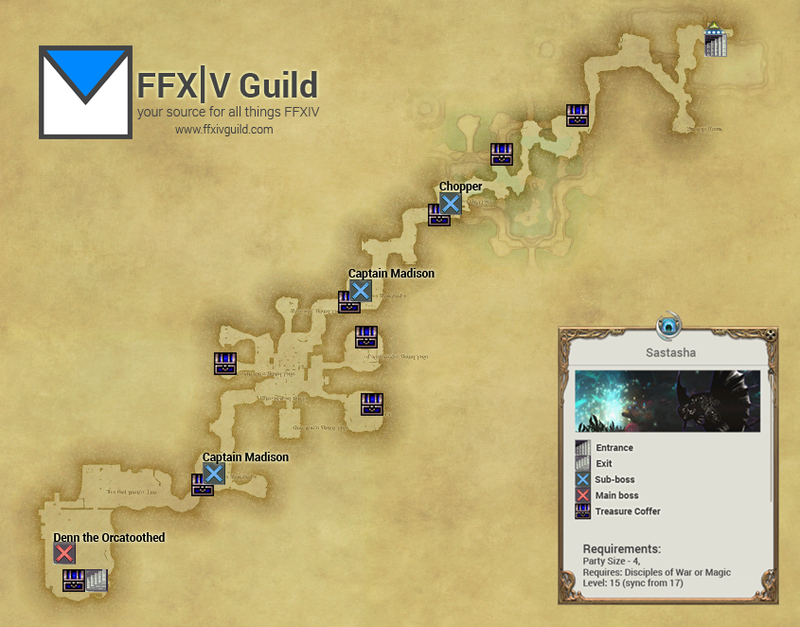 From Limsa Lominia Lower Decks go to Western La Noscea (Aleport) and follow the map below, don’t forget to attune with the Aetheryte on the way to Sastasha. 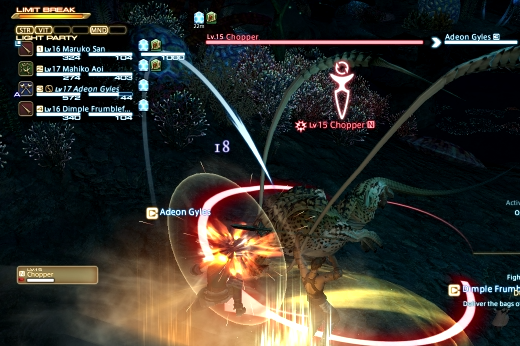 Giant Clams: In the first parts of Sastasha, you will fight ‘Giant Clams‘ who are closely guarded by ‘Shade Seekers‘. The clams will keep on spawning seekers until you kill them. 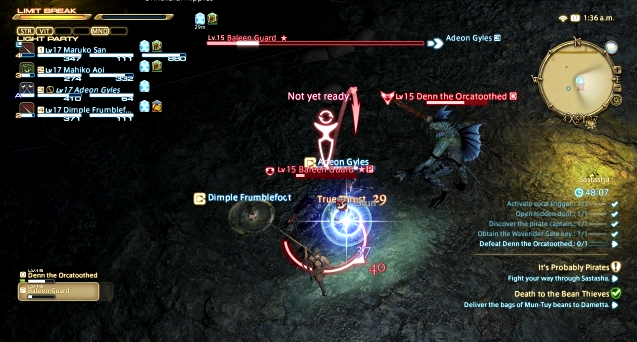 Make sure to have your DPS kill the clams and note that Clams cannot be damaged unless their shell is open. 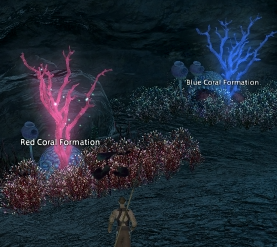 The Cattery: You will enter an area with 3 coral switches, get a hint from the message to determine which color switch to activate. Activating the wrong color will poison you. Pirate Mobs: Beware of pirate mobs that heal each other, it’s best to engage these mobs one group at a time. 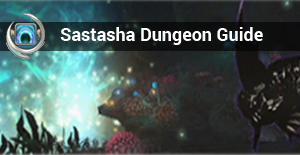 Locked doors: As you explore Sastasha you will notice some locked doors, the keys may be found nearby, sometimes after defeating the nearest guard. If you’ve never done Sastasha before, or if, like me you were healing and didn’t notice the ‘unnatural ripples’, they’re not ripples at all. I guess that word snuck in via the translation. You will see BUBBLES rising up through the gratings. Those bubbles are what you have to click on to deactivate the mob spawn. We probably should a bit down the line!